Safety first, as a misstep could be your last. up here. 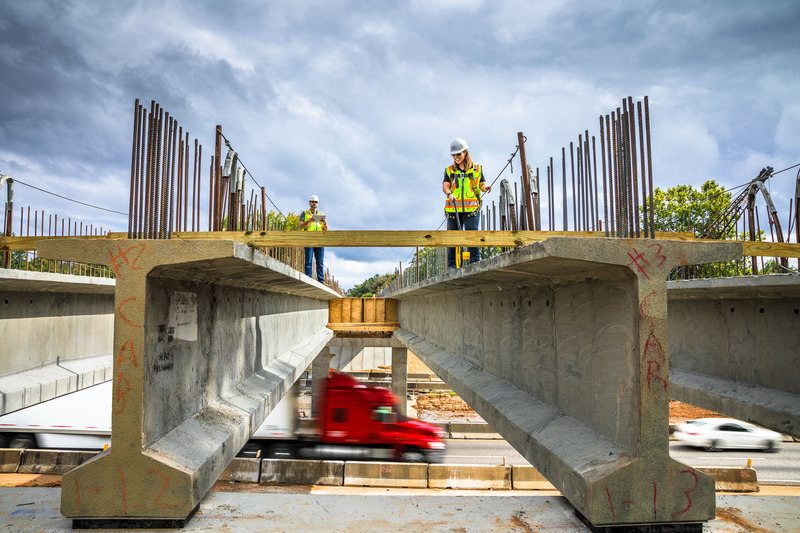 Construction engineers check specs on a new highway overpass, while life goes on below.